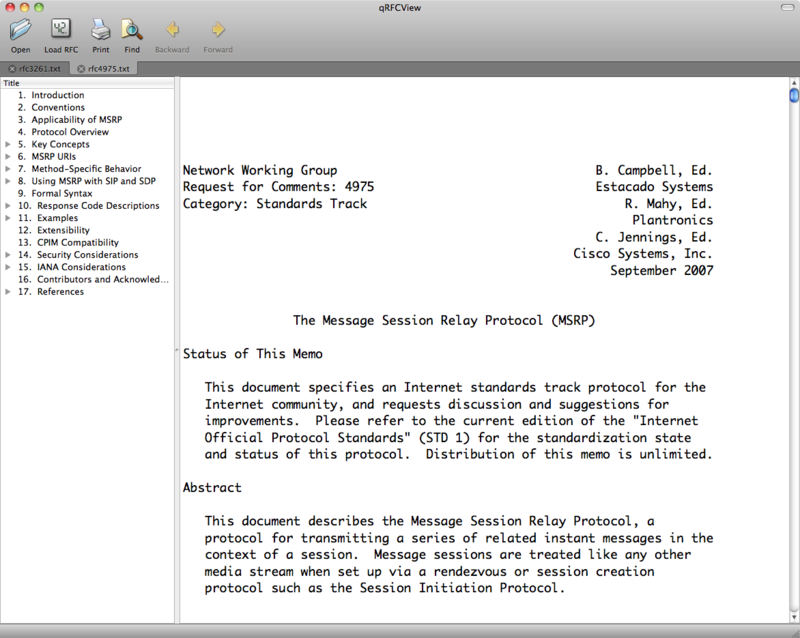 qRFCView is a viewer for IETF RFC documents that aims to ease navigation and make reading them more pleasant. This project is a fork of the original qRFCView (version 0.62) with some changes, mainly cosmetic, so that it looks nice on OSX. Original project is located here.